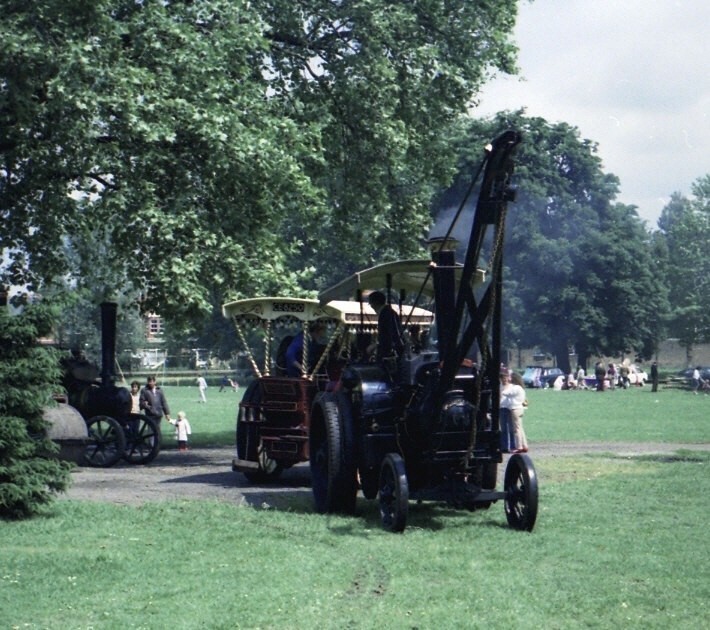 Photo of the 1918 built Richard Garrett and Sons Showman's Engine No. 33374, UK registration CE8250 named 'Verity' getting a tow. This photo & 590 were taken at the same rally which may have been at Merton in London. The engine is the Tasker Tractor "The Fox" no 1833 this time with crane attached.